Did you miss me? Me too! Welcome back to another episode of the Cactus Series. But the scent of all she had done still stuck to her like glue. Oh she knew, she knew very well that she was nothing, she was no one, worth nothing, worth nada. Yes, even her boyfriend confirmed it. Her family was poor and good for nothing. Her mother was possessed and could not stay in marriage. She too was possessed and could not keep her relationship. Yes, her boyfriend had told her time and time again. He had told her she had issues, only him could love her and accept her like she was. She would NEVER find a man like him, no one would ever love the worthless piece of good for nothing fat fool that she was except him. Who would have her? Who would have a girl who had committed two abortions already? She was damaged goods, done, dead and empty. She was not pretty, there was nothing particularly remarkable about her. She was fat and shapeless! She tried to scrub it off but it still stayed. The scent of the blood of her babies dripping on the doctors table while he sucked them out of her. She was a horrible person, worthless and good for nothing. Her boyfriend had said it and she believed him but maybe, just maybe there was a very little light at the end of the tunnel… She remembered her fellowship vice president saying something about talking to God as her father…Could that be true? Would that work? Will this Holy Father be willing to listen to a good for nothing girl like her? Didn’t he also think that the whole of her existence amounted to nothing? She had killed the babies he created for Christ’s sake! Would he hold that against her? Could she dare to try to come into presence? It’s been 4years since she asked God that question from her soul. It’s been 4years since she felt his hands embrace her that night. It’s been 4years since he told her He loved her and will always will. It’s been 4years since He told her she was beautiful and the apple of His eyes. It’s been 4years since she was cleansed and refreshed in the Lord again. None of them can reconcile the little insecure girl of the past with the lady burning for Christ right now. And all she really wants to do is just to make them understand that it was all God. It is still all God. You are not a piece of rag. You are not too far gone. You are beautiful, lovely and amazing. Your story can be used for good, simply let God mould you. He loves you always and forever. You can never be too far gone with Him. Even if all others reject you, He is waiting, waiting to mould you into the corner stone He knows you can be. Let Him come in and do what only He can do in your life. Frances is a lawyer taking her bar exams soon, which means she has a really tight schedule. Thank you Frances for taking time out to join this series, we pray as you’ve created time to be a part of this witnessing, God will give your life full concentration and we wish you all the best in your exams! Don’t forget to be a vessel of inspiration by sharing this post! This entry was posted in THE CACTUS SERIES and tagged abortion, Cactus, Christ, christian, faith, frances, God, him, imperfect, Jesus, let, life, love, series. Bookmark the permalink. I just thought I should share this since it really touched me. God uses crooked sticks to draw straight lines. I am glad to be part of this. 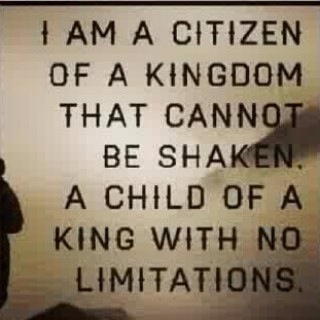 and a child of God who knows no limitations.